What started as a witty way of saying to faculty colleagues "watch your references" has turned into a globally reported and utilized guide to the intelligent of unprepared adolescent consciousness. It is requested by thousands of readers, reprinted in hundreds of print and electronic publications, and used for a wide variety of purposes. It immediately caught the imagination of the public, and in the ensuing years, has drawn responses from around the world. This site now gets more than a million hits a year. 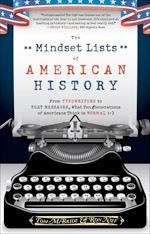 • inspect how you view information sources—current students of history in Britain should be well aware of this; what comes to mind in viewing the mindset list is to ask how you use tv, radio or the internet, how you acquire ‘news’, how you judge the worth of information. • discuss matters with a different age-group, students included. I have found it excellent dinner-party material and apologise here if you recognise having been tested in this way. Their lifetime has always included AIDSThey have no idea what Beta VCR is. Now, any of these could generate an essay or an argument. I confess to not understanding the first of these; to me, Jackson is like Napoleon, a short dead dude². I moved the thread that says “What were you doing when....?” to Essay #96, which leaves (here) the exploration of what the British equivalent of the Beloit list might be. I would like readers to comment (I have written that more times than the total number of comments received). Students of 13-19 in 2012 were born in 1993-9, which I will refer to as nineties or 90s children. Nineties children have ‘always’ known, in the sense that they have not known a ‘before’ state, about a host of electronic³ gadgets—television, video recorders, computers, calculators, phones & mobiles—and the consequences of that age, amazing data storage, CDs, fast banking, credit cards. 90s children recognise the term ‘white goods’. I remember the larder, before the fridge and the freezer. 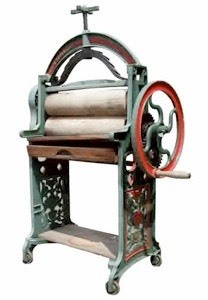 I remember a washing machine being a hot tub with a separate mangle (picture, perhaps, to the right). 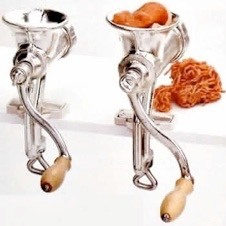 I remember a load of kitchen equipment —such as a mincer, pictured, that predates what now may all be done by a food processor. Most of this equipment was low-tech and hand-powered. I didn’t meet a mortar and pestle until I left school, but my grandmothers used them. 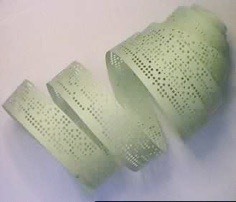 My mother bought and used pill-making devices, and made clothes including press-studs—but then she also engraved glass and any number of other such activities. I grew up in a house with hand-tools such as chisels and screwdrivers and soldering irons—what equivalents do you have? Nineties children are used to ease of transport; they are used to a ‘fast’ society; they are familiar with ‘just-in-time’ stock-keeping. Please see Peak Oil, #100 and write to me about that, too. Extra mentions if you can fix the maths. Many diseases have disappeared. Inoculation and vaccination⁴ are now successful, and fluoridation ⁵ (I’m sure I used to call it fluoridisation, adding fluoride, not fluorine) of water is considered normal (except in the mad parts of the US). This was heading to become a rant, which I then tried to eliminate. I have tried to restrict the remaining ramblings to points that (i) the youth of today may not recognise and (ii) the differently aged need to recognise (or rebuild the Generation Gap). I apologise for the lack of structure. On the way I found a load of things to investigate further and this may turn into a series of essays into ‘progress’ and the spin-offs from such consideration. Transport: car ownership exceeds the driving population in some countries⁶; city planning must reflect the ownership of individual transport modules (oops, cars). Trams have largely disappeared—I went on the last tram in Liverpool. I used ‘trolley buses’ in Newcastle long before the ‘Metro’ was built and I see these trolley buses reappearing. Beeching (who?) transformed the face of rail just as the motorway developed (UK, 60s: India has yet to have any motorway)—and the nation continues to have a problematic transport system—essay on macro-economics expected (not from me). While I took my first flight in 1970, airports were uncommon; my parents only flew only a dozen times between them. Note that I read in the 90s that mean traffic speeds in London fell below that of horse traffic or bicycles if uninterrupted. I remember driving across south London to the M4 and being delighted in 5 miles in 35 minutes, until I realised I can and do run that faster. London speeds are now up to 10mph (16kph is a very good running speed I used to achieve). This may be worthy of more research. 4th quarter 2011, London reported 18.5 mph. Street cameras: have you known a time without CCTV everywhere? I was told I would have been photographed 200 times in walking from PMC to the quayside, about 3km. BBC ‘Spooks’ let us believe the extent to which these cameras might be (ab)used by the ‘authorities’ and Orwell’s Big Brother (‘1984’, written 1949) was only twenty years different from prediction. 2006 research says there are 4.2 million CCTV machines in Britain, though a 2011 study says 1.85 million is a better figure. More research required. I found a list by Charles Stross, one of my favourite authors (I have bought everything I know he has written). He points out that 911 is history for the new student quite equivalent to JFK’s death for me (Essay #96 again); that homosexuality has always been legal and AIDS around forever; so have internet, cable tv, CDs, Freeview and iPods. He points out that the modern youth won’t recognise the terms Soviet Union, Stasi or Nazi Germany (unless they did a project on that in History); they won’t remember Margaret Thatcher, nor, I add myself, the 3-day week, the winter of discontent and definitely not the Jarrow March⁷ or Trelawney’s Cornishmen⁸. Please explore Stross’s site. Supermarkets were unknown in Britain when I was small; instead one used butcher, baker, grocer, chemist, newsagent, haberdasher and so on—separately. Then came FW Woolworth and, separately the department store (John Lewis, Marks & Spencer). The US had a chain store expansion (I can’t write explosion and be understood) in the 1920s (Tesco 1924, Safeway 1926); supermarkets began, we’re told, with King Kullen in 1930 New York. Britain, ever a nation of shopkeepers (Napoleon said that, but not in English10. Self-service shopping began post-war and in 1947 there were just ten such shops; the first UK supermarket opened in 1951 and the idea caught on slowly—economists will have some technical terms like diffusion to reflect this, not least the growth of their buying power. Argument that this is not a good thing for you to write, included in Essay titles, below. Credit Cards appeared in 1950 and it might be argued that Visa began in 1958, Master Card in 1966. I held my first bank card in the 70s and, a little later a credit card I used almost only for buying car fuel; my father never had a credit card. Cheque-books (what?) disappeared early in the new century (the naughties). Anyone remember postal orders? Anyone used Western Union? Televisions: Baird made one in 1925, transmitted signal ’28 and the BBC was doing so in ’29. At the end of 1947 there were already 54,000 ‘receivers’ in the UK and 44,000 in the US (now that’s weird). I found a figure of 90% of UK families having a set in 1962, when the Beatles were still new and Doctor Who was about to begin. Colour tvs sold well in the 70s, transmission developments helped sell sets, flat screens in ’88, though first developed in ’60, and LCD is where the future of tv is seen (ha!) at the moment, being thinner and more efficient. (So are people, including Cassius, though Caesar (J) disagreed). So our 1990 student has always known flat screen tv, loads of channels on tv and radio, reality tv, endless soaps (all soaps are endless, by definition) and, dare I say, relatively little intelligent, intellectually challenging television. Essay topic. Calculators—Clive Sinclair sold the first single-chip pocket calculator for less than £5 back in the Middle Ages (1972, realistically the late 70s). Now, if you pay more than £10 you have bought something pretty specialised, and your phone may already do as much. Is this a doomed gadget? Discuss. Computers: I actually remember, just, transistors being used instead of glass-blown valves. My first class, 1983, used ZX-80s (Sinclair again). I wonder if the modern student has heard of Sinclair at all (the C-5?) and maybe thinks of Sir James Dyson as ‘old’. 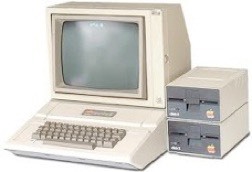 The PET Commodore 64, right, and the Apple II, left, were landmarks of 1977 because they represented affordable computing (8-bit—one-byte—computing, MSDOS, CP/M and so on (terms foreign to you?). 16 bit computing (the two-byte word) began around ’92. I bought my first Macintosh in 1982 after selling the car for funds and I often wish I had bought (not just thought about doing) shares too. What you think of as Microsoft Office began as WordMaster and WordStar on 8-bit machines (Word, now) and as VisiCalc (1979, now Excel). Portable storage moved to ‘floppy disks’ at 8”, then 5¼”, then 3” and into plastic cases and now hardly seen, replaced for now by CDs. 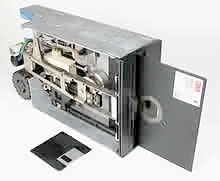 Before the floppy disk were magnetic tape, punched cards and punched paper tape. As a child we used that, the yellow paper tape, for Christmas decorations. Nerd was an unknown term11. 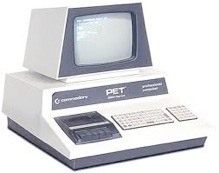 As laptop designs developed (About.com suggests 1979, the Grid Compass; 1981, the Osborne 1; 1983, the Radio Shack TRS-80; 1989, the NEC Ultralite, was in notebook style and just over 2kg; later that year there were several products, including from Compaq, Zenith and Apple. 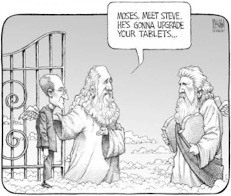 Tablets were first seen with Moses, upgraded by Jobs in 2012. Tablets have also been seen in the cinema, in 2001: A Space Odyssey and tv, in StarTrek. Tablets as we now know them were first for real with the Penpad in 1985 (MSDOS), then the Apple Newton (an early Personal Digital Assistant, PDA, which didn’t sell terribly well); 2001 gave us the Windows tablet (which also didn’t sell well) and then the iPad was (unbelievably) launched in 2010 (really, not ten years earlier). Steadily we have seen mobile phones pick up functionality from other gadgets—last year, 2011, the iPhone was the most popular camera on the planet. I’m expecting the ‘phone’ to replace your wallet (credit cards, basically) in the next few years. Record players, phonographs, stereos, tape recorders, tube television, valves—all too ancient to be known by modern students, and most were new to my father. Even a Sony Walkman, iconic to the 80s (’79-’09?) is too long ago to be readily recognised as a reference. An iPod may be out-dated; 2001-2015, it is steadily shrinking and will soon disappear—into an iWatch, I guess. “Michael Jackson was always white”. Discuss. “Black Monday 1987 is as significant as the Great Depression”. Discuss. Make a list of ‘black’ days and share it. Include the Christmas one. What progress has been made in elimination of disease? How is the action taken reflected around the world? Are any diseases likely to recur? What inoculations do you expect your children to have? What was the effect of the ‘Beeching Cuts’ on transport in Britain? What is the future of rail transport? When does it make economic sense to build new railway? How does this vary around the world? How much empire does France still hold (see Essay #97 on Time Zones). How do these holding compare with those of Britain? How is the Antarctic divided up politically and how are time zones administered there? Is fluoridation (or fluoridisation) still an appropriate solution to poor dental health in a population? Are supermarkets good or bad for the local economy? Taking supermarkets as an example, how does Big Business affect customer and non-customer opinion? Is there any future for the small shop? How does an internet business survive—what structures could improve? Who benefits from such business? What is the future for data storage? Taking the mobile phone as an example, can you predict further future amalgamation of facilities? What about a wrist watch, a refrigerator, vacuum cleaner….? How should we record car ownership / driver numbers? How do car sales change with time? China’s car industry is the biggest world market of 2011—how is it changing and what is its future? What is the future of car ownership / construction / car industry as a whole / in China? <Insert preferred country or use China, but pick one that builds cars>. Pick any tool and write a coherent history of its development. Examples: a household floor cleaner, an image recorder, a calculator. “There are no intellectually stimulating programmes on tv, especially in comparison with the past.” Discuss. 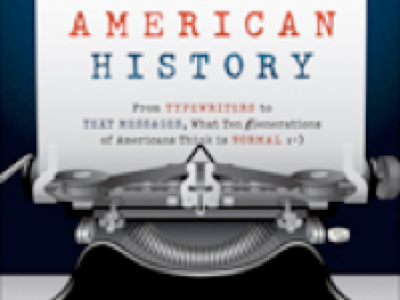 Not an essay, but a lot of work: do the bibliography and referencing for this essay, properly. Send me something and I will publish at least part of it. 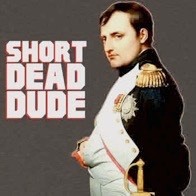 Mr Ryan: So, Bill, what you’re telling me, essentially, is that Napoleon was a short dead dude. Ted: You totally blew it, dude. 3 not electric, from a socket, but electronic, including some sophisticated micro-circuitry. 4 Diseases which have ben eliminated (eradicated) include smallpox from 1980 or earlier. Serious progress has been made in eradicating measles and German measles (rubella), two diseases you tried to catch when I was at junior school. Good progress too in removing polio, a common sight when I was young, and malaria. Other childhood diseases that you try to catch young as they are much worse and more dangerous to have as an adult, are chickenpox (variella zoster), mumps (epidemic parotitis) and whooping cough (peritussis). This is worthy of more research, especially what other countries consider ‘normal’. 5 Fluoridation. I may need to write about this separately. The kids I have taught have wonderful teeth and fewer than five fillings each, where I have around 30 and my sister a far smaller number—because fluoridation came to our bit of Britain in the 60s. It began from 1945 in the US. People who want to research this should look at the studies across the mouth of the Tyne in 1945 and across the Irish border (what do mean, which one?) ten years ago. Now that fluoride is added to toothpaste, we may not need to add it to water but if you read the rubbish (opinion, expressed) written about this (Especially from the US) you may see that the issue is one of choice, not of dental health. Where communication is less than perfect, crime (disinformation and misinformation) is easy to perpetrate. Hence the need to determine the validity of information gleaned from the internet. Vehicles per licensed driver might be a better statistic but it is difficult to find matched numbers. IN the US I found some 2009 figures: 245421610 passenger vehicles, 209618386 licensed drivers that year, driving age population 240989961. That’s 117% vehicles per driver and 87% of the population licensed. I found 2009 info for Britain too; licensed drivers 34181956 vs 34.3 million vehicles—very close to 100% vehicles per license. I’m sorry the links were lost⁹ for all these footnotes. 7 The Jarrow March of 1936 went from Jarrow (Newcastle upon Tyne), to London. It was in protest at a lack of work and the conditions of the work available. Jarrow was a ship building town which stayed in depression until WWII when production was required again.. Just over 200 marched and Parliament took very little notice. There was a separate march of 200 blind people at about the same time. There was a National Hunger March in 1932. 8 Trelawny’s Army is, I think, confused with the Cornish rebellion of 1497. The Rebellion entailed a largely peaceful march of 15 to 20 thousand from Cornwall to London (maybe 500 miles form Land’s End if you go many places to drum up support). It did not end peacefully. A similar and shorter march occurred alter the same year. James II imprisoned seven bishops in the Tower in 1688 for petitioning against his Declaration of Indulgence towards Catholics; one of these was Bishop of Bristol Trelawny, patently a Cornishman. The Cornish menfolk had just reached home after being a significant part of the Royalist side in the Civil War and one might say they had defeated each of the South West county regiments in turn. The general response to the King’s action was “Why?”, with worry that the King might have a Red Queen “Off with his head” moment. Cornish sing, to the tune Trelawny, the song titled the same, which includes the repeated lines, “And shall Trelawny die? Here’s twenty thousand Cornishmen Will know the reason why”. There was no march in 1688, and though I read it was discussed, it would appear the menfolk were too tired and glad to be home at last. Worth reading up on some more, perhaps. 9 This whole file was corrupted by one of the pictures (so said the software, but I think the corruption was an indirect effect of adding pictures). I fixed the problem by quitting iWeb, deleting the file ..../Library/Preferences/com.apple.iweb.plist and restarting iWeb. On the way I had tried deleting the offending files and have learned enough to save copies of the webpage content first. Unfortunately I had not realised that copying the whole web page means that Word accepts the content as picture, not text. What I should have done was ditch the photo at the top and just copy the bulk text. result; I can’t convert the files back, though I can see them well. Frustration is a ration of frust. —Adam Smith, The Wealth of Nations, Glasgow edition, 1976), Book IV, section vii. c. A shopkeeper wouldn’t have had a vote in 1776. I was surprised to discover that UK’s population at the time of Napoleon was half that of France (La Belle Epoc? ); I think of France as having 2.5 times the space but the same population. France’s area in square miles is 214.000, a very similar figure to the UK’s 210,000 square kilometres. I also discovered France is called the Hexagon, after the general shape. I feel I should have known that 40 years ago. 11 The etymology of nerd says Dr Seuss used it in 1950, Newsweek in 1951. I liked the suggestion that it is ‘drunk’ reversed, => knurd, later nurd and then nerd. The sitcom Happy Days turned it into everyday language in the 70s (in the US, later for the UK).